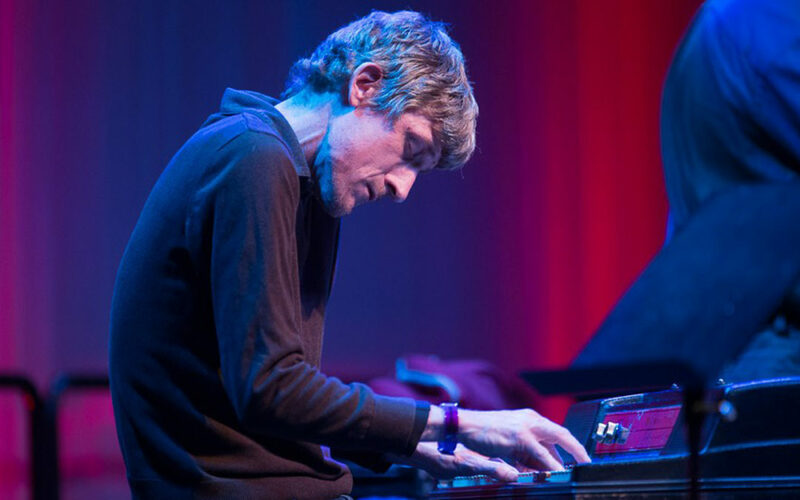 That’s Tim Kennedy, describing how it came to be that one of Seattle’s busiest and most versatile pianists and songwriters in any genre decided that the countless sessions, gigs, and bands he was involved with weren’t quite enough, and it was time to pick up the guitar and form a classic rock band. For many contemporary musicians, stylistic eclecticism is the default mode of creative existence, dictated both by economic necessity and instinctive affinity. Kennedy pushes the notion further than most anyone on the scene: If he limited himself just to his foundational talent for jazz, he would be top of his class and never out of work, but he also dives deep into electronics, pop, hip-hop, and dance music, and holds down a weekly gospel gig. Kennedy’s electric jazz trio Gravity is a stunning showcase, while his dance-pop band Richie Aldente flaunts the best elements of ‘70s and ‘80s funky soul and groove, layered with thick harmonic sophistication spiced with hip-hop, a dash of yacht rock, and sticky hooks that just don’t let go. And then there’s the aforementioned “hobby”—a soulfully rocking unit called Hot Rod, which, after a year and a half of existence, has 50 original songs in its repertoire. Earshot Jazz: You obviously have a deep jazz foundation, but how did you come to be so accomplished in so many other genres as well? Tim Kennedy: My dad played me a lot of jazz from the beginning, so I always had an affinity for that, and I was always into hip-hop and rock and all. But when I really got into jazz, that was pretty much it for a long time. Then I started exploring those other styles, and writing and making beats to try and expand my jazz vocabulary–not to be in a new genre–but kind of taking bits and pieces of everything. I’d hear a hip-hop track that was some looped jazz, and I’d think, “Cool, how did they make two bars not sound boring, over and over again?” So I was intrigued by that, and I’d try to incorporate that into my playing. Do you even have much use for the notion of genre? Or is it better to think of it all as just music? You recently became a father for the first time. Do changing life circumstances affect your musical process? It used to be I’d just get up, make beats all day and write music over it. I don’t have that kind of time any more, and plus that was a process I thought was great, but I wanted to challenge myself and see what else I could do. …I’m always messing with how I’m working on the songs…The more open you are to that, the more tools or methods you have, the more you’re going to get out. You’re able to take advantage of smaller blocks of time. Yeah, when I have time now, I’ve got to get in there and do it. But I’m excited about those boundaries now. I’ve pretty much done exactly what I wanted to do for the last 20 years for sure [laughs]…People get comfortable, and music suffers, creativity suffers, so if you keep on trying to poke and prod yourself, it’s good. What are you working on right now in the jazz realm?